Curcuma mangga - Am Haldi, Amada Haldi is a plant of the ginger family and is closely related to turmeric. Botanically mango ginger is not related to neither mango nor ginger but to turmeric (C. longa). The inner part of the rhizomes is less yellow compared to the outer part, with a sweet smell of unripe mango when crushed. Due to its exotic flavor and medicinal property, they are also used in the preparation and as natural preservatives of foods and beverages. To date it is still used in postpartum care, specifically to aid healing of wounds. Use of mango ginger in food industry Mango ginger has a typical exotic flavour of raw unripe mango. 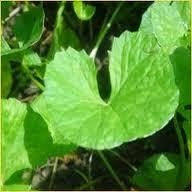 Therefore, it is used as a basic ingredient in pickles, preserves, candies, sauces, curries, salads and so on. Mashed potato 1 cup, 2 tablespoon mango ginger, dry toasted cumin, saunf, and coriander powder 2 teaspoon, salt and chili powder to taste. 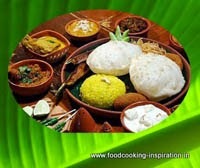 Required minced amada, mashed potatoes, salt, chili powder, dry toasted cumin, saunf, and coriander powder, mix well and make circular disc about 2 inch, carefully coat it with batter and fry it immediately. The ancient testimony for the use of plants as medicine was well documented in the treatise of Ayurveda and dates back to the pre-historic Vedic era.